Durham's breathtaking landscapes have inspired artists and writers through the ages. Durham’s landscapes have inspired artists and writers through the ages, including the ‘painter of light’ himself, J.M.W. Turner who referred to the light in Durham’s landscapes as being his inspiration. Turner first visited Durham in 1791 on a tour of the North of England. He produced a series of paintings and sketches of Durham City portraying Durham Cathedral from both inside and outside as well as Durham Castle. Turner passed through Durham again in the autumn of 1817, gathering material for works commissioned by two wealthy new patrons. It was on this tour that he produced his painting of Raby Castle in the Durham Dales – one of his most successful ‘house portraits’, which was first exhibited at the Royal Academy in 1818. The Bowes Museum in the Durham Dales has always had links to the artist as the father of its founder, John Bowes, was a direct patron of Turner and the Museum has four of his works in its collection, with 3 currently on display. 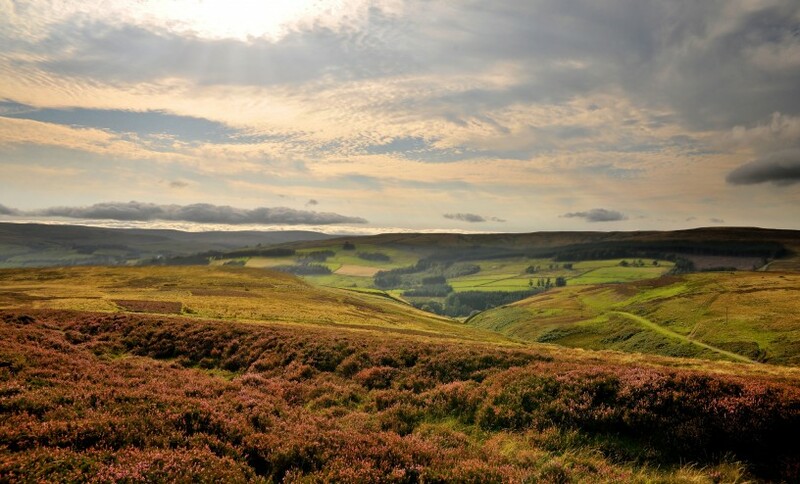 It is at Rokeby Hall in the Durham Dales that Sir Walter Scott’s poem Rokeby is set, and Turner was commissioned to paint 20 watercolours to accompany the poem. These included a range of Teesdale landmarks including the Meeting of the Waters where the Tees meets the Greta, and Egglestone Abbey near Barnard Castle. 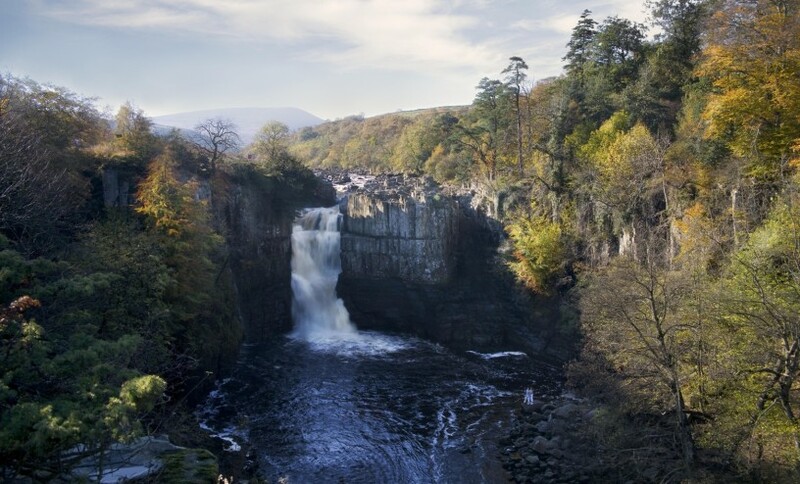 Turner painted High Force in Teesdale (within the North Pennines Area of Outstanding Natural Beauty) on a trip to the Durham Dales during the very wet summer of 1816.